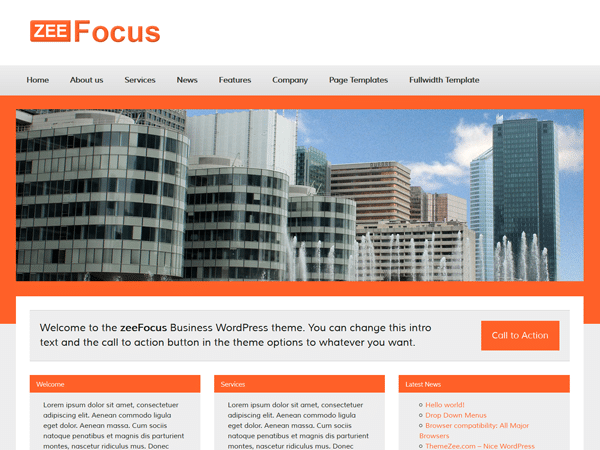 This week ThemeZee has released two more business WordPress themes named zeeFocus and zeeVision. While zeeFocus went live on Monday and was approved in the WordPress.org theme directory by Friday, zeeVision was just released yesterday. Of course both new themes come with responsive layout and look great on any device. Naturally the themes have the proven and established frontpage template with a slideshow, intro text and horizontal widget areas. Regardless the similiar functionality zeeFocus and zeeVision have an unique and distinctive webdesign which let them stand out of the crowd of WordPress themes. The themes are written in state of the art HTML5 and CSS3 code and support all WordPress core features like custom menus, widgetized sidebars, custom background, custom headers and featured images. You can get all information about zeeFocus and zeeFocuspro on the theme page. 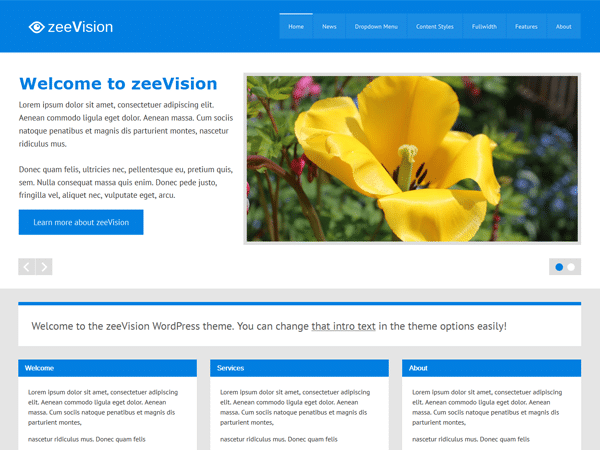 You can get all information about zeeVision and zeeVisionPro on the theme page. After creating a lot of business themes it’s time for some magazine themes.